Who else loves easy avocado boats? But which will you choose? 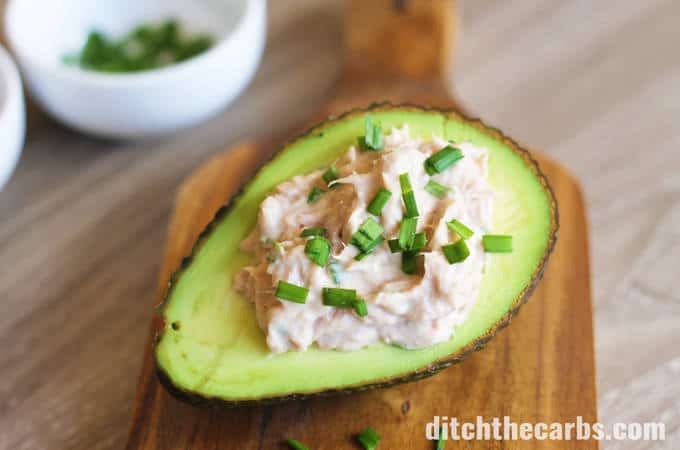 Avocado is such a quick, easy and healthy low-carb snack. Smooth and creamy, avocados are the perfect healthy AND filling vegetable. You know I love avocados, so much so, that I even have my own avocado tree in my backyard. Avocados are nutritious, packed with over 13 vitamins and minerals, fibre, healthy fats and are the perfect low-carb snack or quick and easy meal. 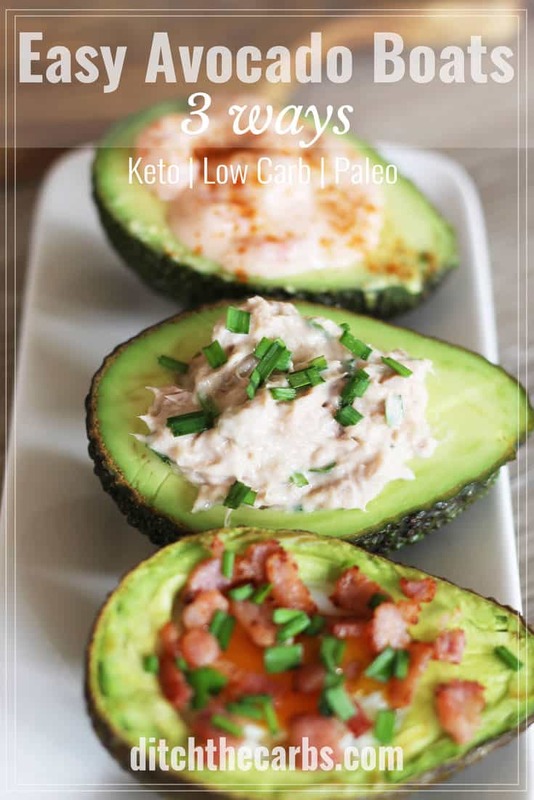 Avocado Nutrition: In half a medium avocado, you will find 14.5g fat (10g monounsaturated, 2g polyunsaturated and 2.5g saturated), 2g protein, 8.5g total carbs, 6.5g fibre, 2g net carbs. Vitamin A, C, E, K, folate, niacin, choline, magnesium, copper, manganese and more potassium than a banana. 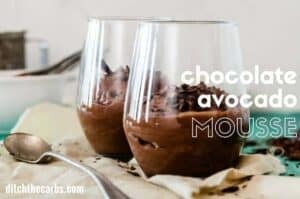 Avocados are buttery smooth and so versatile, I even make a chocolate mousse using them. 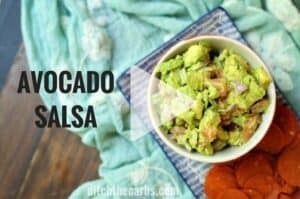 Scroll to the bottom of this post to see all my avocado recipes. I always have a stock of tinned/canned tuna in my pantry. I choose tuna in olive oil or spring water. Always check labels carefully because some cans/tins of tuna contain an “olive oil blend” and we want to avoid oils such as canola, sunflower and other seed oils as much as possible. Why? Because seed oils are highly processed, easily oxidised, cause inflammation. To understand which healthy fats to enjoy and which ones to avoid, read this article Ultimate Guide To Healthy Fats. Tuna mayonnaise is so creamy, filling and nutritious. One small 100g tin/can of tuna will give 26g protein. The mayonnaise adds even more healthy fats and protein to the avocado boat. Why not make double and keep the remainder in a pot in the fridge for a healthy low-carb lunch tomorrow. This is the easiest healthy avocado boat of them all. Make a few at a time and keep the reminder in the fridge. Baked eggs in avocados are perfect for lunches or a picnic. Simply crack an egg into the hollowed out avocado, bake, then sprinkle a few bacon pieces over the top for garnish. What could be simpler? Add salt and cracked pepper, a few chopped chives, and you take it to another level. My kids absolutely LOVE prawn cocktail. This is another one of those emergency foods I always have on hand – frozen cooked peeled prawns in the freezer! I like to jazz my prawn cocktail up by adding a pinch of chilli or smoked paprika. Cutting an avocado – there are two ways to cut an avocado – lengthwise (as shown above) which is the more traditional way to serve avocados, OR across the middle. This is how I cut them when I want to scoop out an avocado for recipes such as avocado salsa or chocolate mousse. I never realised I cut avocados differently to everyone else. Here’s how I do it without any cut fingers. 1 Minute mayonnaise – you’re missing out if you haven’t made my insane 1 minute mayonnaise recipe. It has just hit 1 million views, and you can see why. It is so simple, one reader told me her “5 thumbed husband” can make it. I often set my children onto making 1 minute mayonnaise whilst I’m preparing a meal. As long as you follow the video exactly as it shows you, it cannot fail. 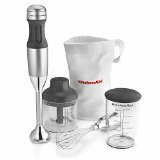 YES you need a stick blender and YES you need a slim tall jar. Pop the blender over the egg yolk, and lift slowly as it thickens. And once you taste homemade mayonnaise? There is no going back. There are even 15 flavour variations to try, you’ll be sure to love at least 1 of them. 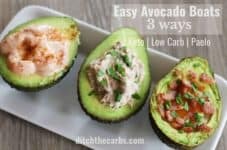 Easy Avocado Boats - 3 ways. This is recipe heaven for those who don’t like to cook. Healthy easy avocado boats filled with tuna mayo, prawn cocktail or a baked egg with bacon bits. Keto, Paleo low-carb heaven. 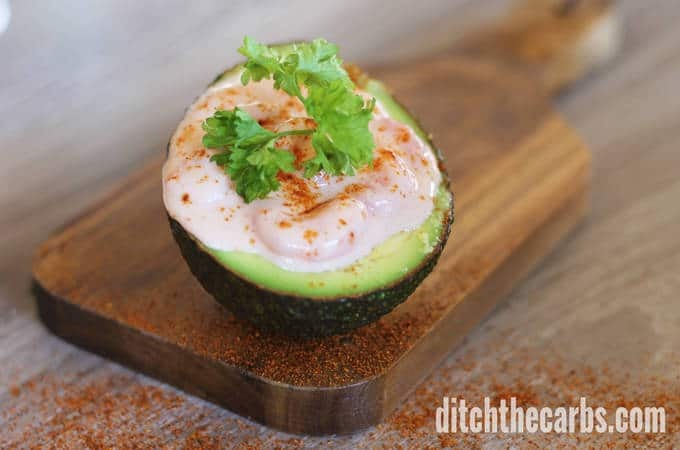 Mix the tuna and mayonnaise and any spices you like, add to the centre of the avocado boat. Crack an egg into the hollowed out centre of the avocado. Bake at 180C/350F for 10 minutes, or until the egg is cooked to your preference. Serve with cooked bacon pieces and chopped chives (optional) with salt and cracked pepper. Mix the pre-cooked prawns, mayonnaise, tomato paste and chilli (optional) together. Place into the avocado centre. Garnish with a sprinkle of chilli, salt and cracked pepper. These look devine! We are big advocate eaters, living in the Bay of Plenty is lucky! 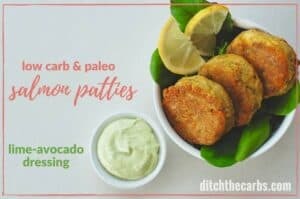 They are such wonderful food for the low carb life style. Once ripe I’ve discovered they will last ages in the fridge, so if you buy a whole lot at a road side stall it doesn’t matter if they ripen around the same time. 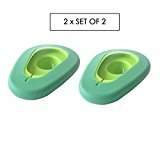 They are fantastic for snacks anytime, but especially when we are away in our camper and come back hungry after a big hike or bike ride. Our favourite way to eat them with the least fuss and mess is to split in half and fill the centre stone hole with worcestershire sauce, salt and devour with a teaspoon. These are so cool. 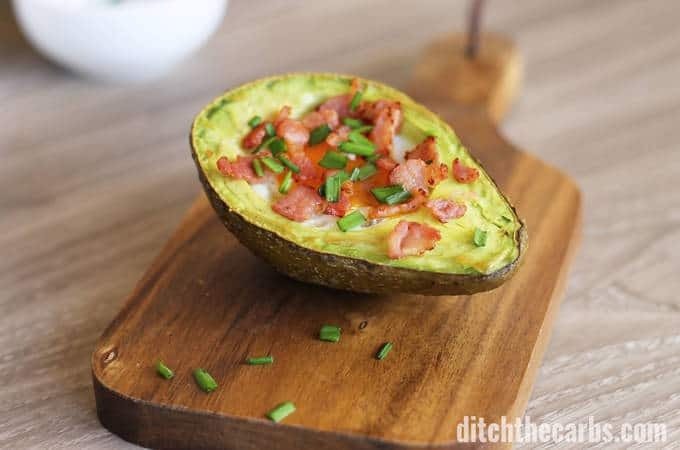 I’ve seen egg and bacon avocado boats before – but I hadn’t thought about just how much you could vary up the ingredients and flavors.